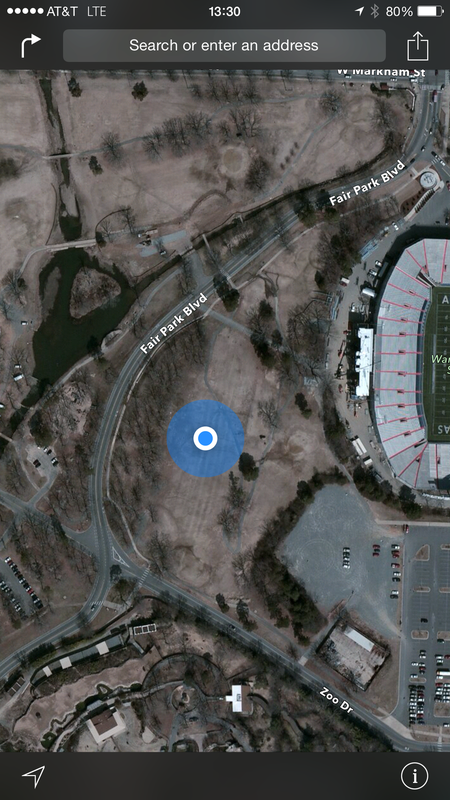 I like to tailgate at Arkansas Razorback games, especially in Little Rock, even though we’ve been abysmal there the last 6 years or so. Over the years I’ve developed a list for my tailgating gear so (hopefully) I don’t forget anything. I’m sharing it here (download link here) to see if you have any suggestions. Please let me know in the comments. Last year I wrote up a how-to guide installing a .ptx viewer on a Mac for Mavericks and previous versions of OS X. Some steps in that process changed in Yosemite, so here are the steps. Remember, this is a fairly involved process that takes tinkering under the hood of your Mac. Make sure you’re comfortable using the command line. Some of the commands will take a while to run, so it’s best to try and multitask while this is going on. Scroll to the end using the spacebar and type ‘agree’ to accept the license. This will take a few minutes for the files to download, compile, and install. 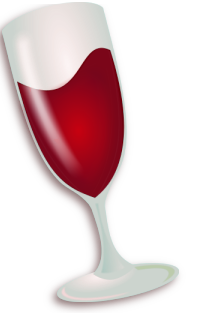 After that, we’ll have to install a couple of extensions for wine: (1) Mono, an open source version of the .NET framework; (2) a helper application, winetricks; and (3) Windows Media Player. (1) and (3) are required by E-Transcript Viewer 6.2, and (2) installs (3). During this process, you’re going to have some Windows windows pop up, as you would when installing software on a Windows machine. Make the appropriate selections (the default, preferably) to install the software. (Pro tip: when you’re typing a file name into the Terminal, you can hit the tab key to auto-complete the name). Once you run this program, you’ll get a popup telling you to install a couple of prerequisites. Click ‘Install’. Check the default values for installation of the E-Transcript Viewer, and complete the installation. If you get stuck at any point in the process, please let me know in the comments and I’ll try to help. You can also holler at me @chaneylawfirm on Twitter. We’d also appreciate a follow on our blog at http://www.chaneylaw.com/blog if you found the tutorial helpful, as I put these out from time to time. Thanks for reading. UPDATED 6-25-2015: Genericized the home directory in the bash script per the comments. I follow Hercules and the Empire, a blog written by a federal trial judge in Nebraska. I was poking around the archives today and found a couple of gems on legal writing, including a list of “Top ten legal writing hints when the audience is a cranky federal trial judge“. Judge Kopf suggests we make life easier on law clerks by inserting hyperlinks to caselaw and the electronic record. I appreciate good legal writing, so I immediately started exploring the process. The Nebraska USDC ECF page has several links and tutorials on how to create hyperlinks in e-filed documents. The tutorials are a really good starting place on the mechanics of how to create hyperlinks. For instance, I never knew you could link to particular pages of PDF documents online simply by adding ?page=<pagenumber> to the end of the link. However, the tutorials identified a few issues that our particular Mac-based workflow would cause, so I thought I’d write up how I addressed the problems. We use Macs and Microsoft Word in our office. We have Adobe Acrobat 11. Lexis is our legal research provider. From what I can tell, this setup creates at least two issues that requires alternative solutions to that posted in the Nebraska USDC hyperlink manual. 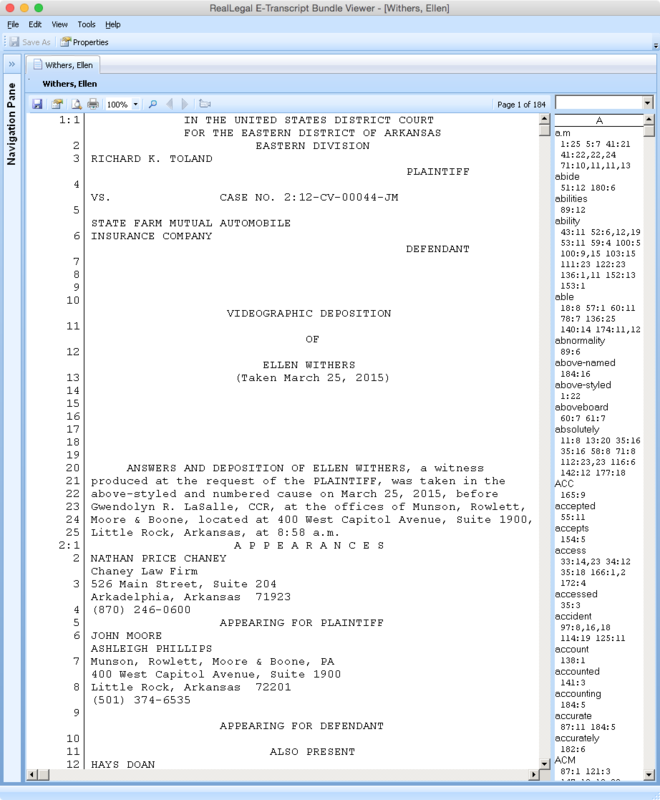 Solution: Use the Copy with Cite link from your Lexis case page to get a permalink to the document. Pro Tip: Instead of the page number of the beginning of the opinion, you can use the page number for the pinpoint cite. So, instead of: “http://www.lexis.com/research/xlink?app=00075&view=full&searchtype=le&search=347+Ark.+423”, the last part becomes “347+Ark.+429″. Explanation: For Lexis links, the tutorial suggests copying and pasting the link from the address bar in the browser; however, the tutorial also notes some attorneys have difficulty using this method. In looking at the url for a case I pulled up in Lexis, I can tell it will cause problems simply because it contains a lot of HTTP session information that will expire in a few hours. You’ll need to work on the cite to get it in Bluebook format (de-bold and italicize the caption), unless your an anarchist. This will give you a permanent link to Lexis in your Word document. Upgrade Adobe Acrobat to version 2015 (this is the Document Cloud version). Use File > Save As Adobe PDF… in Word 2011, not Word 2016 Preview. Don’t put hyperlinks in footnotes for now. Explanation: While reading through the Nebraska USDC tutorial, I saw that you can’t simply do a File > Print > Save as PDF from Word because it doesn’t preserve the links. I tried it, and sure enough, the links didn’t work. I also tried the Save as Adobe PDF from the File > Print > Save as… menu, but that didn’t work either. Finally, File > Save As… and selecting PDF was a dud too. I found this Adobe support page discussing the link exportation issue. I wound up upgrading Adobe Acrobat to the latest version in order to able to embed links in a PDF created from Word. They now work in the body of the document, but not the footnotes. I like using footnotes for citations, but I’ll have to modify my behavior until this problem gets fixed. Of the three ways to create the PDF from Word suggested on the Adobe forum, I could only get one to work. I figured out this is due to having the Office 2016 Preview installed on my computer. The File > Save as Adobe PDF link works in the 2011 version of Word, but the link between the programs appears to be broken in the 2016 preview. According to the Nebraska USDC tutorial, you can link to particular documents previously filed in your case simply by inserting the link from the email you received when the document was filed. The really cool feature, I think, is linking to documents you’re currently filing. I haven’t tried this yet. If you’ve been able to do it, or have discovered any issues with the process on a Mac, please drop me a line @chaneylawfirm on Twitter. We’d also appreciate a follow on our blog at http://www.chaneylaw.com/blog. Thanks for reading.